Posted: Mon Jan 23, 2017 2:54 pm Post subject: Marky's 996 ownership thread. 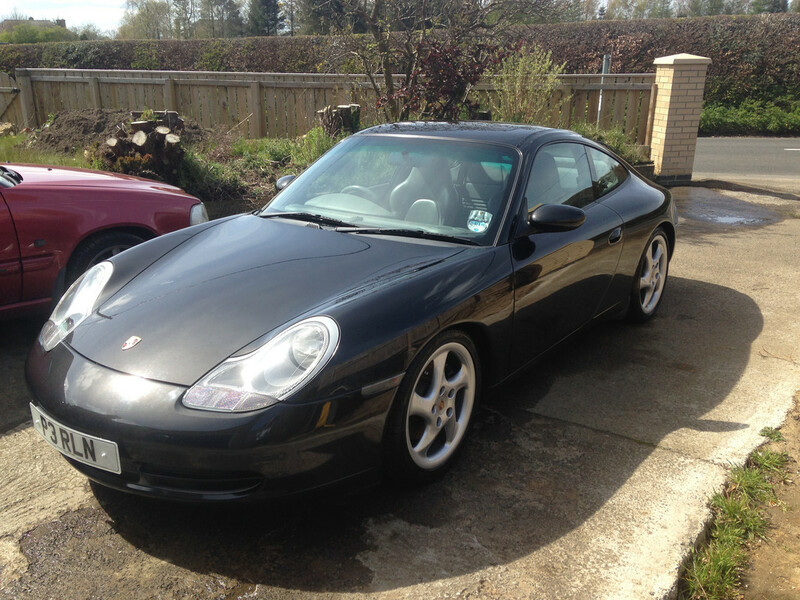 Afternoon chaps, just starting my readers cars type thread for my 996 C2 I bought almost a year ago. It certainly won’t be anything as impressive as Poppopbangbang’s or ELA’s lightweight project, simply me bringing a 996 upto my ideal spec and condition. If it bores you (and that’s fine) just click away. I’m actually a bit pushed for time these days but I’ve been gathering parts and planning things over the last 11 months and I’m starting to think if I don’t start a thread now I never will as I’ll get too far behind. Ok, so like many on here I grew up loving 911s and while Ferrari’s and Lambo’s beat them for sound, I just think there’s something about 911’s. 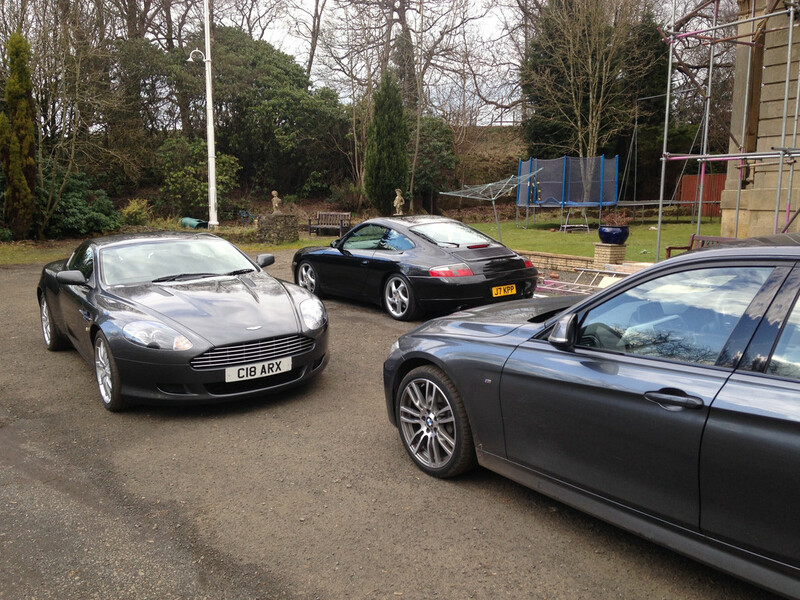 Boxsters and Caymans are great but I just don’t get that “Want!” feeling with them. 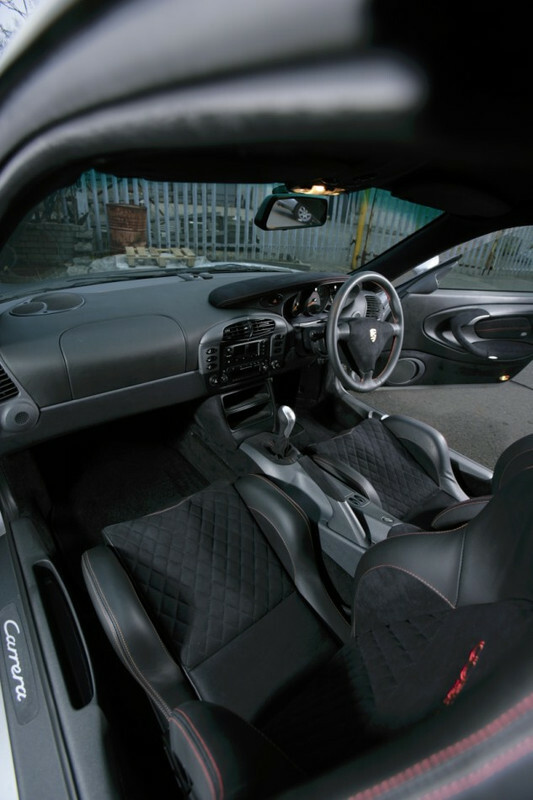 Anyway, I won’t go on about my old ones but a few sentences on why I chose a 996 C2. 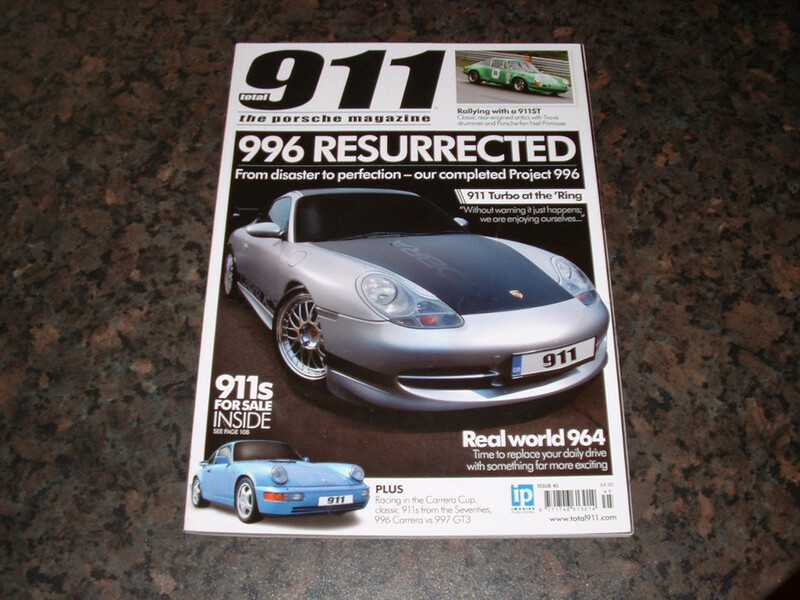 One reason really and that is that it’s the only 911 I could afford to get back into last year. 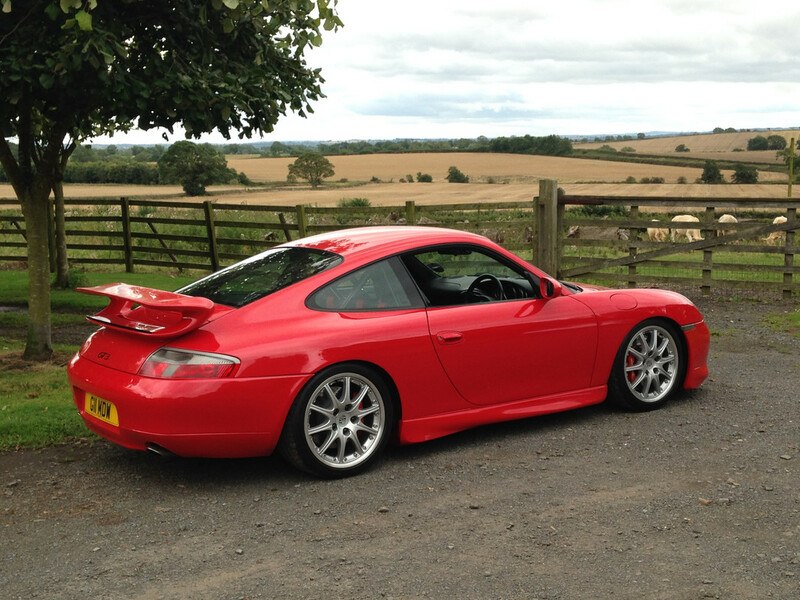 So a house move to an old wreck in my dream village (realising a 15 year old ambition) meant we were backed into a corner pretty quickly financially, so as much as me and my ever supportive wife tried to juggle finances so I could keep the GT3, inevitably it had to go in August 2014. It went to a proper petrolhead, Slippydiff off the forums, who I'd been speaking to about GT3 stuff behind the scenes for a long time. Great guy with an envious list of former Pork. It got the pampering and use it deserved with him. I was so busy with the house (still am) that I didn’t really miss it until summer ’15. I tried a few old BMWs to fill the void but they were never going compete in any way to the GT3. 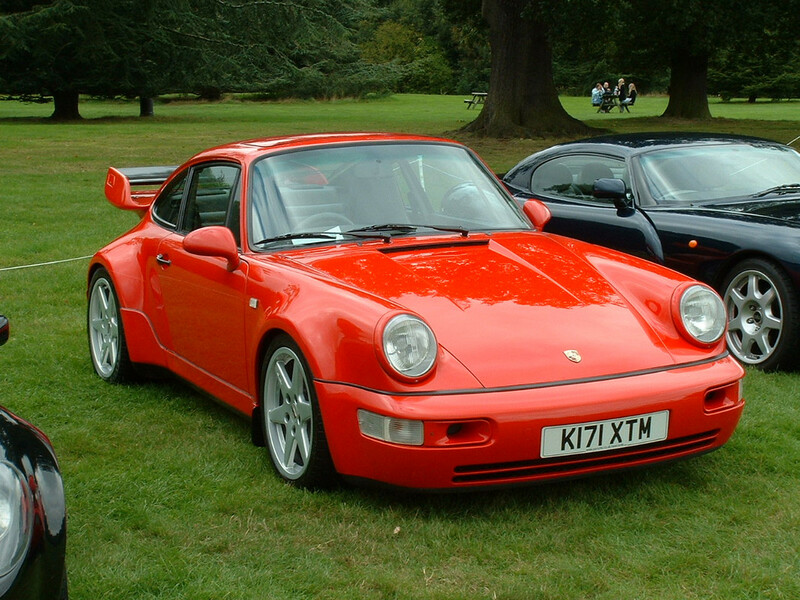 Anyway, after a crap 2015 (ill wife and me having a cancer scare in the December) I thought “Sod it, I want another 911”. So I scrimped and scrounged and managed to scrape enough together for a 996. The list was simple, it had to be drivers spec as my GT3 had been obviously. So manual, coupe, rear wheel drive, oh and a Mk1 obviously, as I wanted aerokit and like the simpler shape. The hunt began…. Looking forward to reading more about this old boy! Cheers Raggy, yes I knew you'd recognise a few of them. You should have asked J to take you out in the GT3. Spine-tingling as the revs max out. ….So as said the search began. 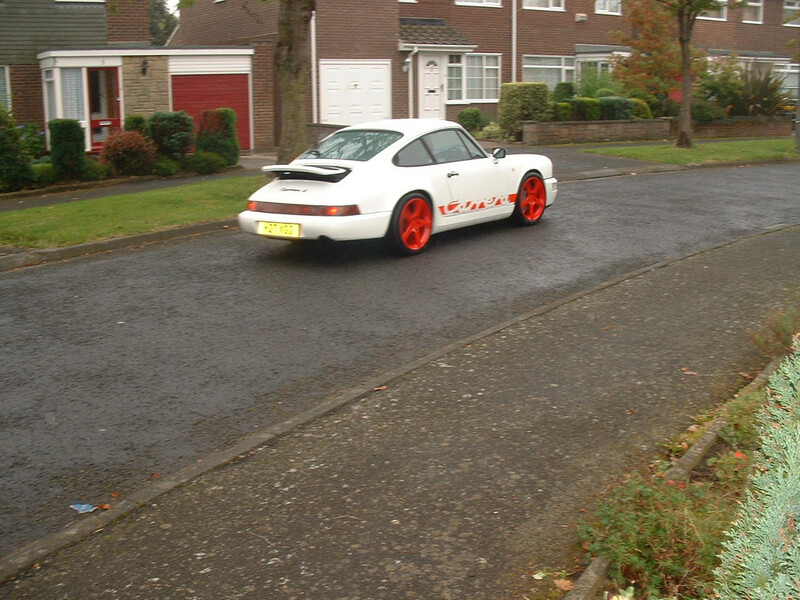 Now I knew all about hunting for Porsches and even 996 Carreras as I’d found this one for my mate Craig a year or two before. This is a special car. C2 manual with Hartech rebuild thanks to a main dealer starting the car with no oil in during a service. Big argument ensued for 18 months, blah blah. Basically the car sat outside the main dealers all that time with the engine outside in bits resulting in it being fit for the scrap heap, hence a second engine was built up by Hartech at a special rate as the car was built in conjunction with T911 magazine, so they’d get a good advert out of it. I’ll add at this point that the owner was so sick after the engine issue that he sold the car as it was, (very broken) to Mark the owner of Cobra seats, this it where it underwent its transformation and over £25k was spent on it, including the lovely alcantara retrim with matching Cobra Misano seats. It really is very impressive. Anyway, back to the point and I’m sure Craig may start a thread of his own on here at some point. 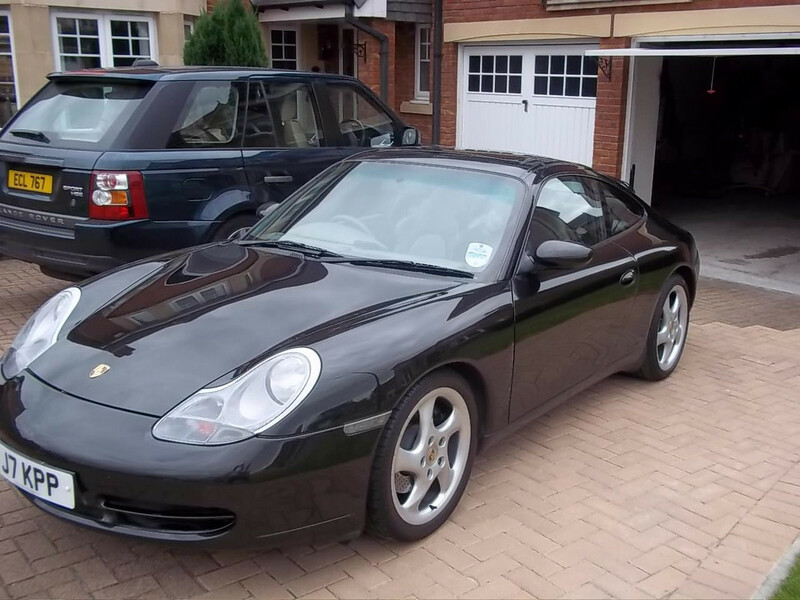 Basically my 911s had always been sunny day summer cars I tried to keep as mint as possible so that search for Craig’s 996 opened my eyes to the condition of the majority of cars for sale. These were still just people’s daily drivers still in most cases so they had chips, dings, rotten suspension or brake components, etc, etc. 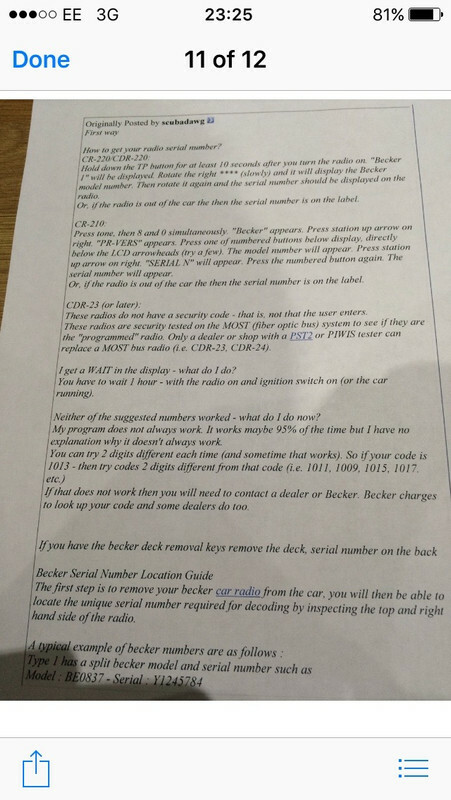 Knowing this and it now being 3 years after Craig’s search, hence the cars would be even rougher, I wasn't relishing the thought of my own search. Just one more quick point about Craig’s car and that is that is has now lost the Cobra RS crap. Craig liked it initially but as I kept saying sticking stickers on it doesn't make it a model. It would be like me creating a Marky RS. So it’s now a lovely sorted C2 in silver and it also has a MK2 RS rear wing. It looks ace. 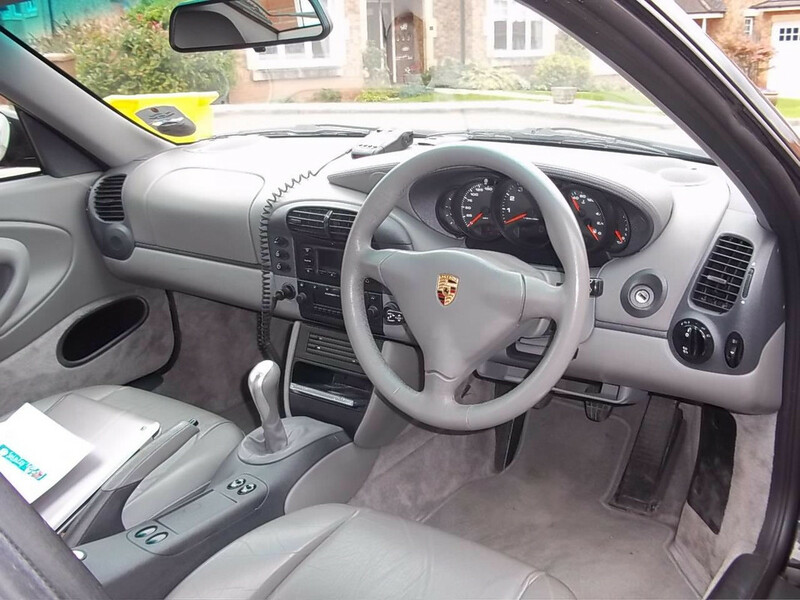 What I instantly found and what I often say in here is that yes there are lots of 996s for sale but remove the tips, cabs, C4s and elect under 80k miles and there’s thin pickings out there. Then discount the story cars and there's even less. I don't care what anyone says about 996s being available in massive numbers, a search for a good C2 manual coupe is not a quick and easy one. I don’t want to argue about low mileage and in any other car I’m not bothered about high miles, but components on these engines do wear with miles. Things such as crankshaft bearings, bores going oval etc. It could still go bang but I wanted to give myself a fighting chance, the rest is down to a bit of luck, which I son’t generally have but hey ho. So I’ll cut to the chase and after a couple of false starts on an undisclosed Cat D car and then being trailed to Belfast from Northumberland to look at a right horrible old dog that was on here, a car popped up one night when I was sitting at work. The spec was ideal and the car was only 140 miles away in Falkirk, Scotland. Now it was top money and I’m always wary of Scotland cars as they rot a lot quicker than southern cars but the seller Clarke assured me it was rust free. He’d owned it for 5 years and maintained it well. Not enthusiast “well” as in changing anything and everything that showed slight wear but he loved the car and it had had anything it needed and all receipts kept etc. “A good one” for want of a better phrase. Full service history, all books, paperwork, etc. 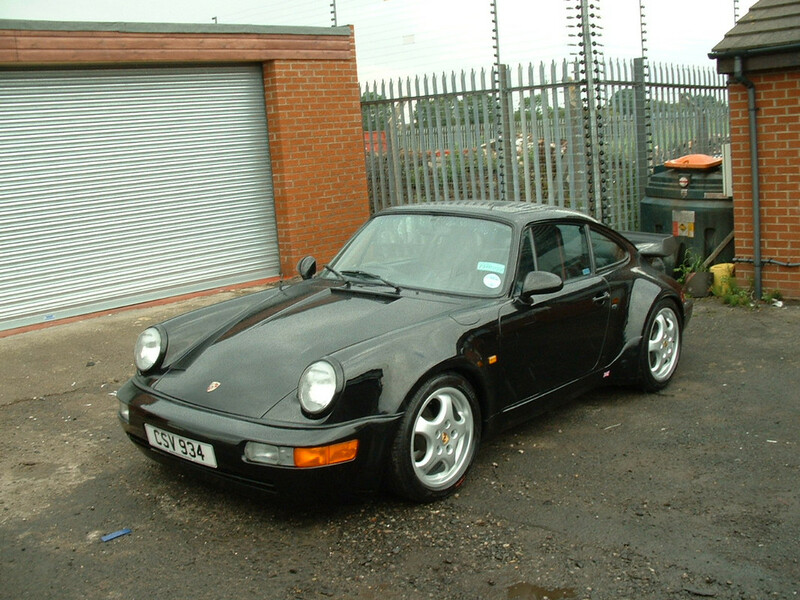 Factory LSD, M030, Hard back sports seats and a few more things I’m not bothered about such as cruise etc. Was chuffed with the colour as I really didn’t want zenith blue or silver but to be honest after the false starts etc I would have just bought on condition not colour. More at some point but not today. Who's that "Model" Looking fellow standing on the steps outside Clarkes House ??? Thanks Marty, like I say I won't be chartering into any new territory but I'd like to document it anyway. It's good for the OCD don't you know. Evenin' Craig. As for the "model" bit, I've looked but I'm not seeing it. Thanks ELA, I always love it when I see an update pop up on your thread. Mine will simply be repairs, cosmetic mods etc. You'll recognise my GT3 then I'm sure. It went to Henry (Slippydiff) but I didn't know you knew him (why would I? you ask ). Anyway, looking forward to seeing yours when it's done. Fantastic attention to detail. For me getting the balance and detail right is something most will never see when looking from the outside at a project like this; the sleepless nights trying to find solutions to all the little problems. The thousands of scribbles and notes on random bits of paper are worth more to me than all the worlds gold, when I can't find them. It is great to now finally see the light at the end of the tunnel. I just can't wait to drive the nuts off it and soak up all the intoxicating raw emotions I hope it delivers. Thanks for the video link, I hadn't seen that one before. There is however absolutely no chance of a 996 ever getting anywhere remotely close to 820kg. Besides, it was never my intention to be so brutal and chase every gram; don't get me wrong, I've gone seriously an@l in places but that balance of OEM usability and refinement is something I feel is intrinsic in what CLR stands for. There will be 40kg or so left on the table, but this 40kg will be what makes the car more than a one trick pony. ELA - Yes what Henry doesn't know about performance 911s isn't worth knowing, I'm sure he's been invaluable. The sense of achievement already must be massive from taking that from concept to reality. Once it's finished you'll be even more chuffed. Although are these type of projects ever "finished"? You sound like me in that you work from scribblings and lists. I do however imagine you to be like Doc off Back to the future, so I must never meet you incase you shatter the illusion. Hi Zingers! I must say I'm a little disappointed I didn't get a "At 13 bags your car has done it's dough"
I will get the house thread updated at some point probably just with a load of "after" photos, but maybe properly. It just got too much to be documenting everything while working every hour on it. It's gettng there though. Thanks BHZ - It should look better soon, although how soon is anyone's guess. I have the full Aerokit and GT3 wheels to fit but now I'm actually thinking "They're only original once". I've been watching too much Chasing Classic Cars. "I er, hope you've got your snow wings on that plane". That will mean absolutely nothing if you've never seen it. I say it to the wife all the time. Really winds her up. Anyway enjoy those new cats! Cheers. Boring post alert, but I just want to round off the part about collection day. It'll be onto what I've done or am doing after this. I've gathered a pretty huge pile of parts for the car over the last 12 months, including full Aerokit, genuine GT3 wheels (8 inch /10 inch) and loads of other parts. So once we had the car in front of us was it as described? Well pretty much, all original panels, stickers where they should be, paperwork all good, etc. The interior was very tidy indeed and paintwork was very nice. Overall it was a lovely example, especially when compared with most others we'd seen. Clarke had clearly looked after the car and he'd owned it for 5 years and that was a good sign that it wasn't being flipped for profit or due to a fault. There was however one thing that annoyed me a little. Clarke had said the car was totally rust free but on inspection there was corrosion creeping out from under the door catch striker plates. 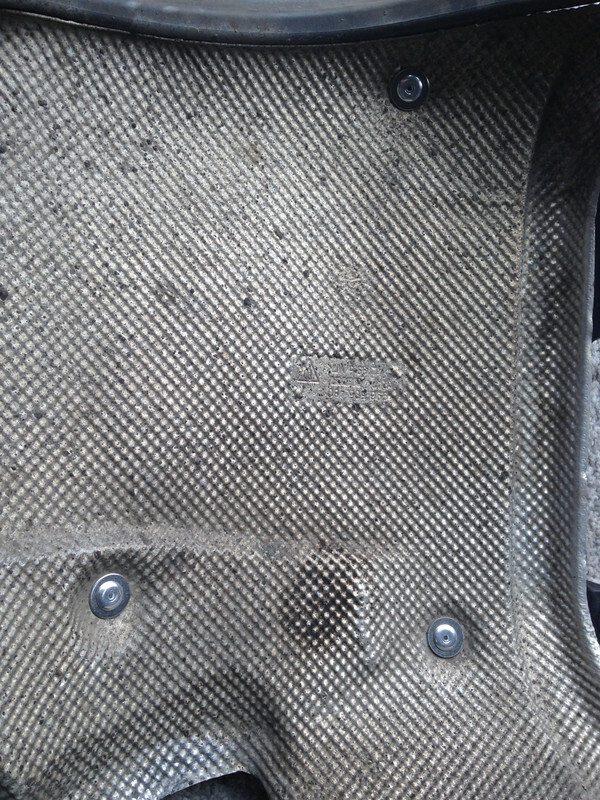 Now I'm realistic when buying 20 year old cars and any 996 that hasn't had this area treated, probably needs it done, as it's a massively publicised issue that affects nearly all 996s, but I had asked if there was any rust and I'd been told "No". So after a bit of hard haggling Clarke agreed to knock a little bit off the agreed price. I say a little bit mind, it was only one or two hundred pounds but fairs fair and Clarke had been great to deal with overall, so no hard feelings. I've told Clarke I'll keep in touch and he's very interested to see how his old car turns out. So then followed a nice uneventful drive home. A pretty boring trek down the A1 basically. There was a barely audible knock from the front suspension over certain surfaces but apart from that no nasty surprises. Once home I knew that the car would see very little use over the coming year (last year) due to other commitments. 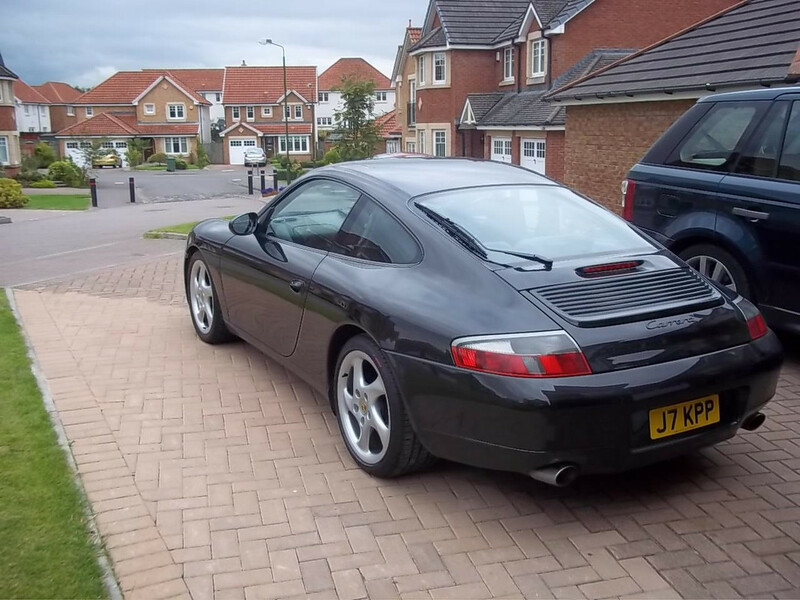 My main reason for buying it was that most 996s are only getting older and rougher, so it seemed wise to get one when I could and at least that way I had it there ready to use on the odd nice day when I wasn't busy. Plus now I had it I could start stock piling all the bits I wanted and form a plan of what order to tackle things in. More to follow. Mods, repairs, etc. More importantly pics, as text only posts aren't my favourite. Out of interest what's the implication (money/time) of treating the corrosion under the door striker plate? 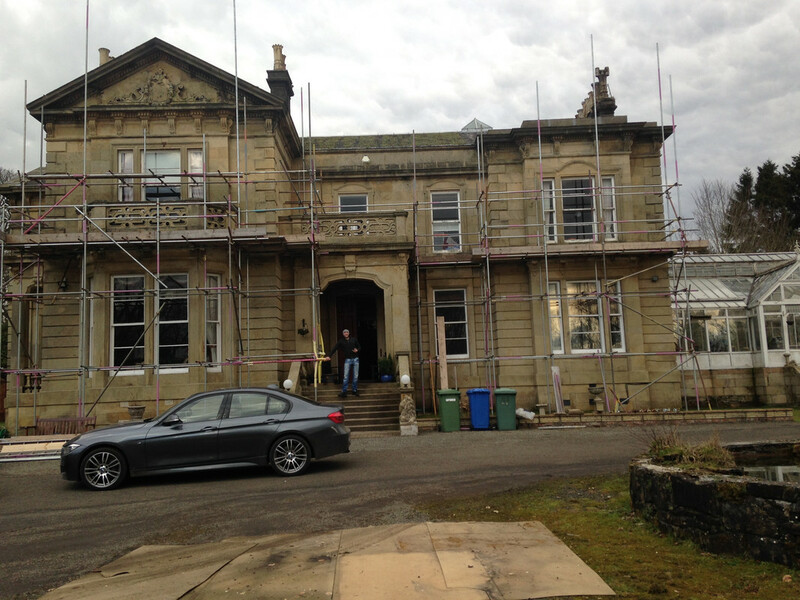 It will need to be stripped back to see the extent of the corrosion and where it has originated from. If the steel is deeply pitted with corrosion or it has come through from underneath, the affected area will need to be cut out and a replacement patch welded in prior to finishing. If the corrosion is just on the surface and has not pitted the steel, it can be sanded down then refinished. The cost will depend on which option is required. Thanks. I've observed this on the drivers door of mine, not the passengers side though. I'll get Precision to sort it with the MOT. *****! Hi Lee, totally agree, shoddy effort. Dammit - as Pops says it all depends on how deep the corrosion goes but I'll be honest I've seen some nasty scabs on 996s in the past that I've thought "Hole under that" and it has ground back to healthy thick metal so I wouldn't worry too much. I'm budgeting about £250/£300 for both of mine done although I haven't had an accurate quote yet. It's a case of treat the area and paint it but obviously you don't want mask lines anywhere, so as always it's where do you paint to? 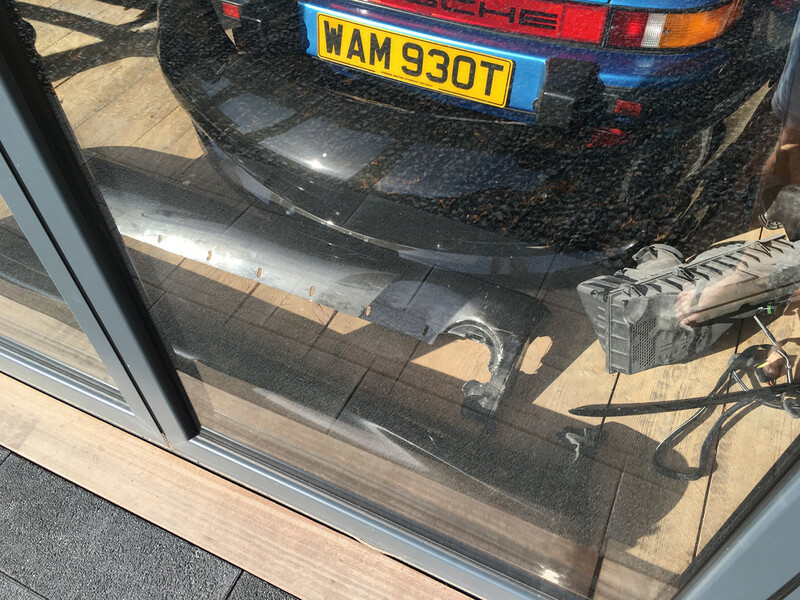 I'll be removing my Carrera kick plates and fading the paint out there, then refitting. Or failing that take the paint along to the A post. I'll go with painters advice. 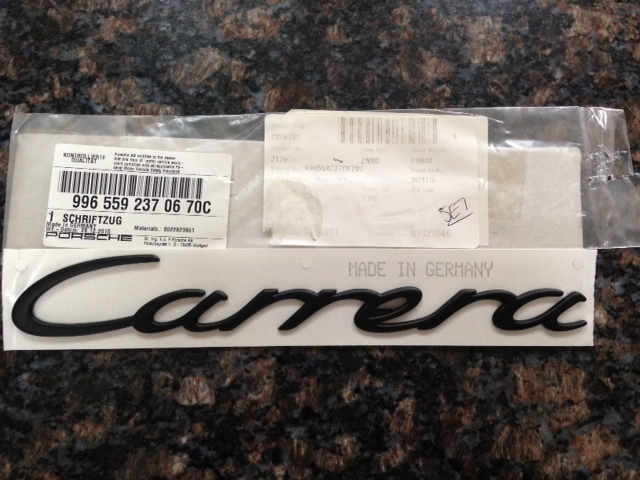 Oh, one more thing, there are a couple of factory stickers near the door catch plate, which you'll lose. 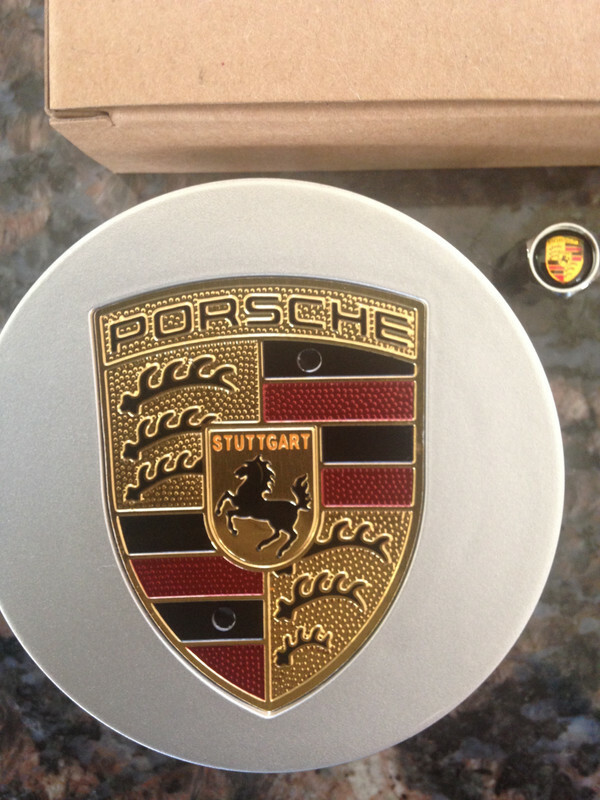 One is a gold identification sticker and the other is a Mobil 1 Porsche sticker. You'll want to photograph these to prove to any buyers they were there if you ever sell it. Some people could suspect accident damage etc. You want to add a pair of these Dammit. 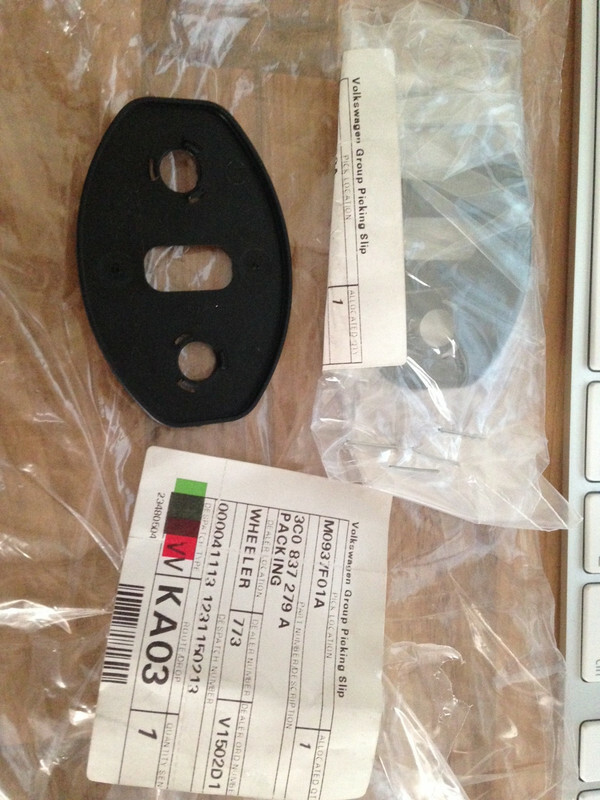 VW door catch gaskets. They'll stop it happening again as it's the fact the B post and door catch plate are made of 2 different metals that makes them react and corrode. This gasket separates them. 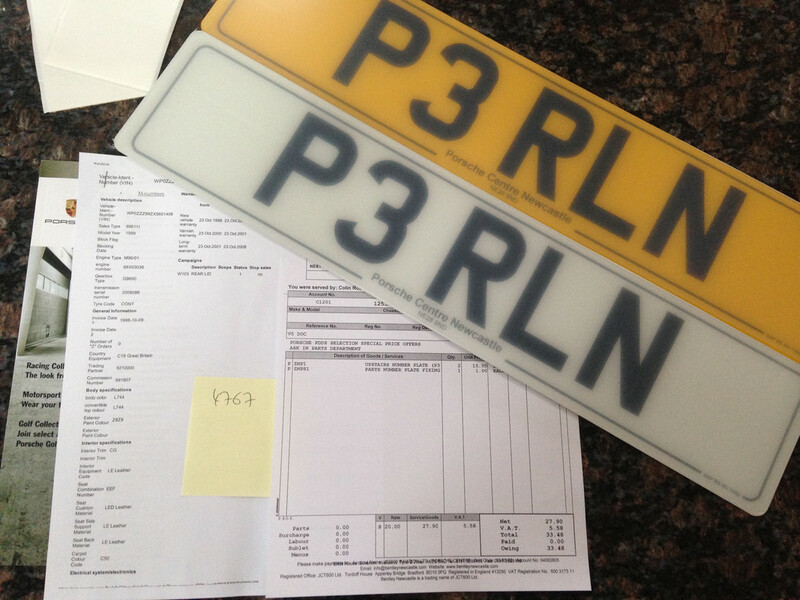 Ok, so as soon I got the car home I fitted my dealer number plates. I always do this for any car I own as it just looks so much better than having "Bob's car parts" or something along the bottom of your reg plates. The plate actually means nothing. 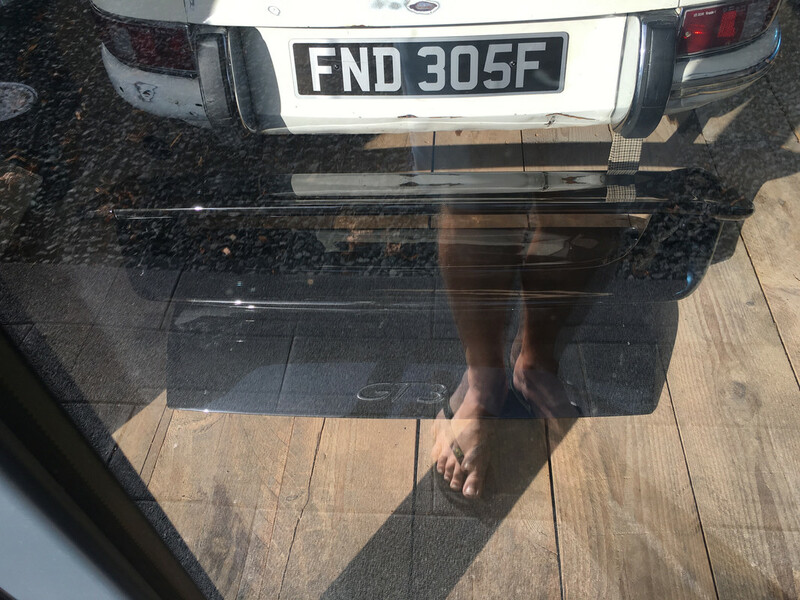 It came on a car I bought once, but I just think cars look better with small reg numbers so thought I may as well chuck it on. Not the 996s best angle. You'll see a radio code on a post it note the parts guy gave me. 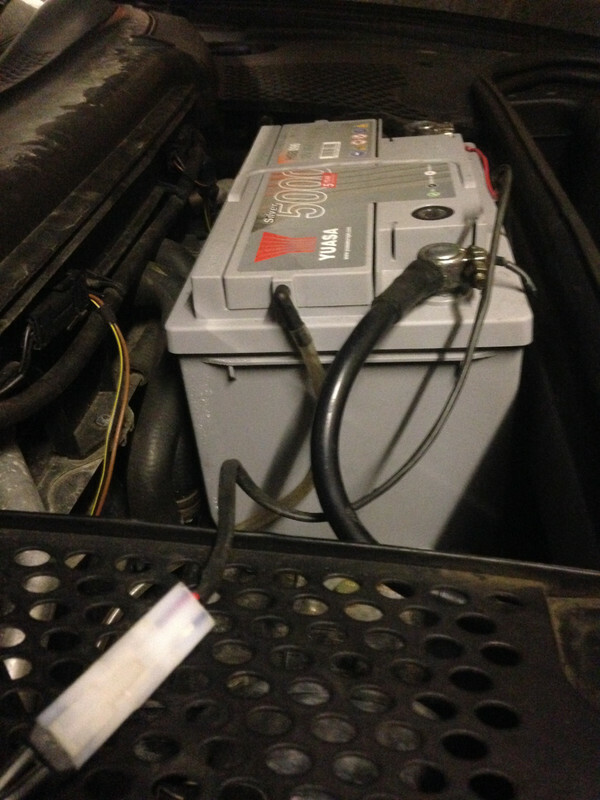 That's because I fitted my fly lead for my battery conditioner which caused the radio to require its code, but I didn't have it. 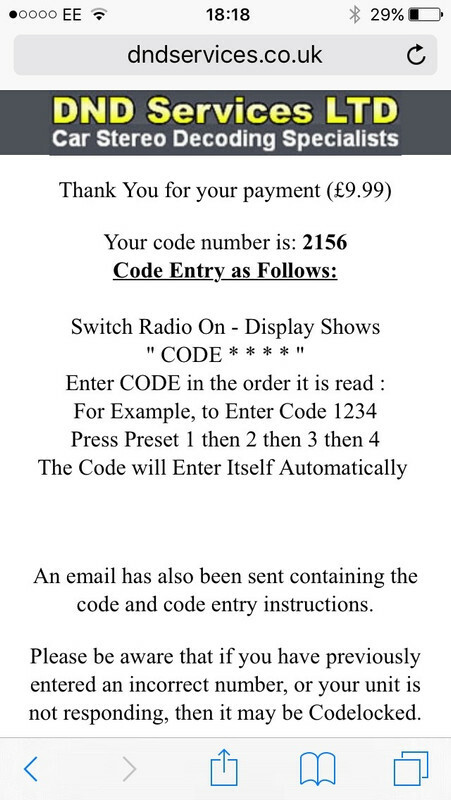 I know some people online can dish out codes for free but I was happy to pay a tenner to get it done. 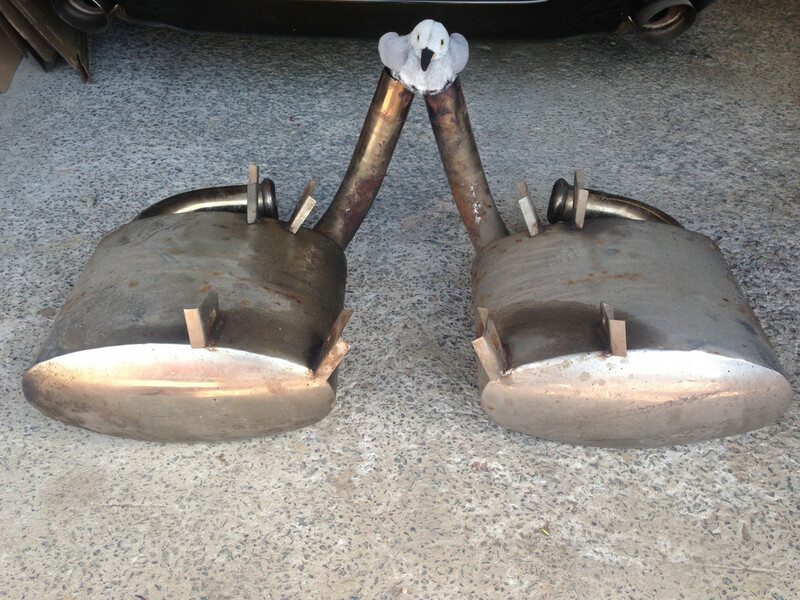 A month or so after buying it my mate Craig had the offer of some brand new Dansk sports rear boxes . He's used the guy before for a truly bargainous £90 Sachs clutch kit! We both bought a set of boxes. 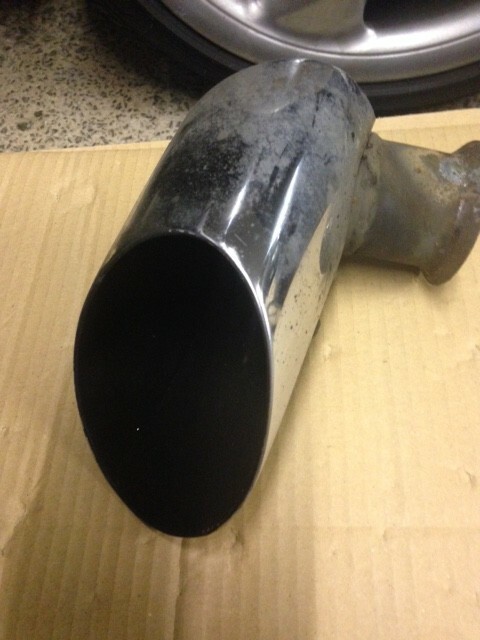 My car already had a full stainless system including manifolds which Clarke had fitted and whilst it sounded deeper than standard it was a bit flat and tuneless, so I fitted the Dansks and it sounded much nicer. In fact mine sounded great but Craig's sounded pretty poor. 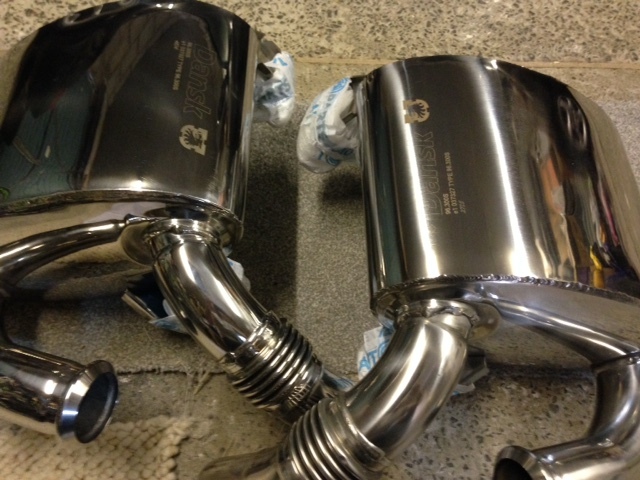 Very quiet, proving that manifolds make a bigger difference to volume than most people think. So Craig's quest for the right sound continued (it still does actually ) but I'm quite happy with mine. I also renewed all the rivets in the heat shields and added some washers. The heat shields always tear around the original rivets and that's where all your rattles come from. As a bonus I Ebayed the unknown rear boxes I removed and they sold for £60 more than I paid for the brand new Dansks. #Winning. So I enjoyed the car over last summer, whilst continually gathering parts whenever they popped up. 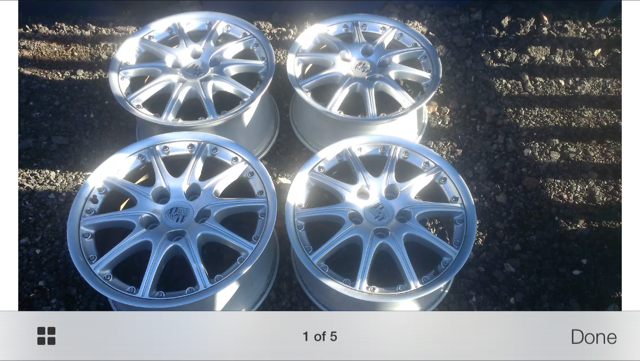 Sourced my GT3 alloys as mentioned. The wheels arrived and were mint. The only issue was that they'd had a lazy refurb. By that I mean the outer rims had been powder coated when they should be diamond cut. B) There isn't enough material left on them to machine the corroded surface off. 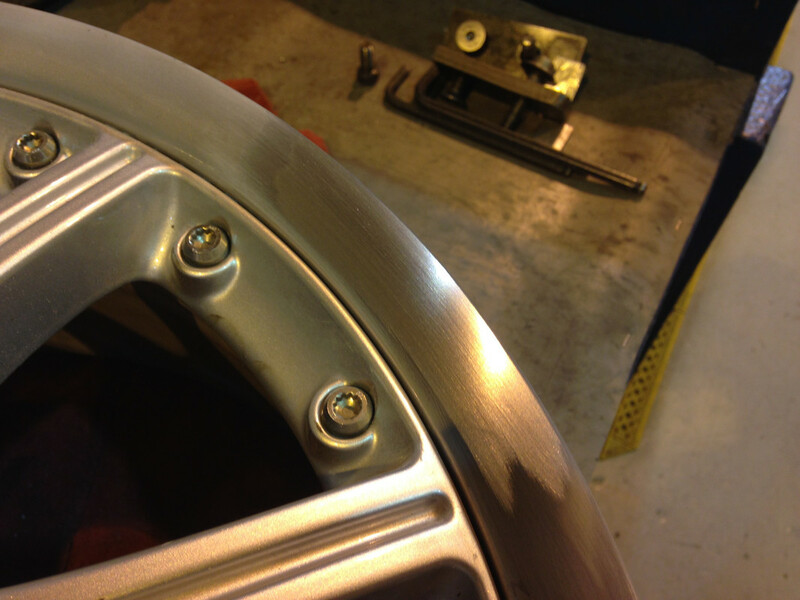 You can only get 3 or 4 refurbs out of these wheels then you're stuck. I decided to sand through an area of the coating on the rim to see what was lurking underneath. Obviously I can't do a proper job until I split them but I've gone right around the rim on this wheel and it's perfect. They'll polish up a treat. I hope the other 3 are as good. The bolts are mint and they even came with centre caps which are aftermarket but really nice. I also bought a set of those cheap ones from Alex's EBay bargain thread. I'll decide which to use once I'm ready to fit them. 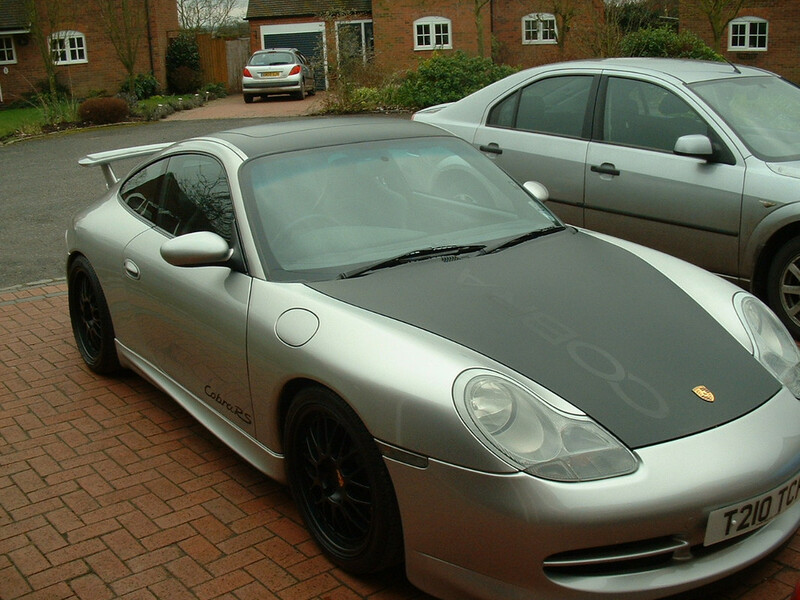 I also began searching for a genuine Aerokit as I just can't get away with the 996.1 front end without it. Plus aesthetically I think my GT3 was just perfection. 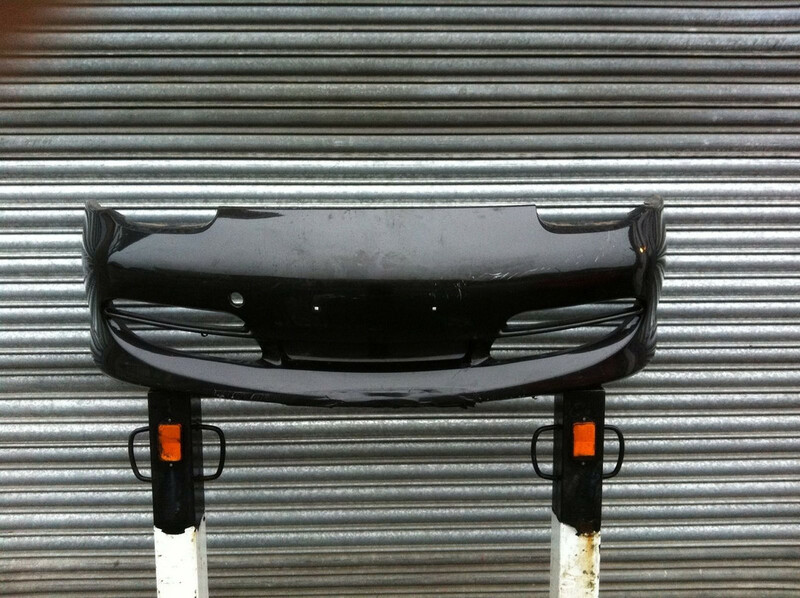 A lightly damaged front bumper came up so I snapped it up. Of course, Sod's law meant a full kit in my exact colour came up a couple of weeks later, so I had to buy that too. Matt, the seller of the kit was a proper petrol head with a great collection including a mint 930 in Minerva blue, a 60s hotrod 911, '73RS rep, Ferrari 355 and some bikes. His garage was a proper toy shop. He'd owned a car identical to mine but removed the kit when he sold the car. I won't get the kit on until next winter though as this year is all about getting the car mechanically perfect. 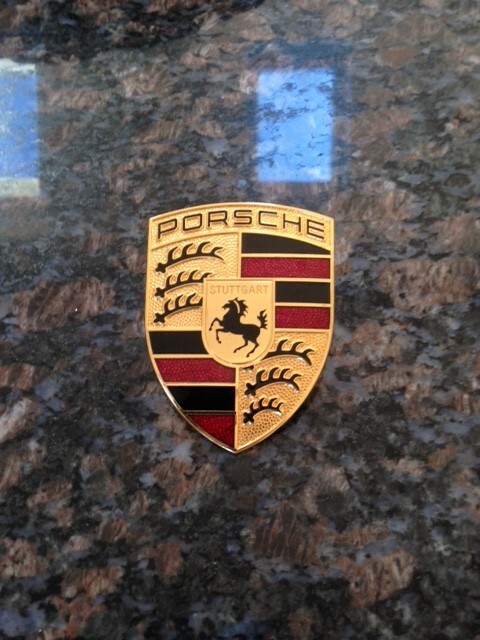 I also found a brand new bonnet badge and Carrera badge. 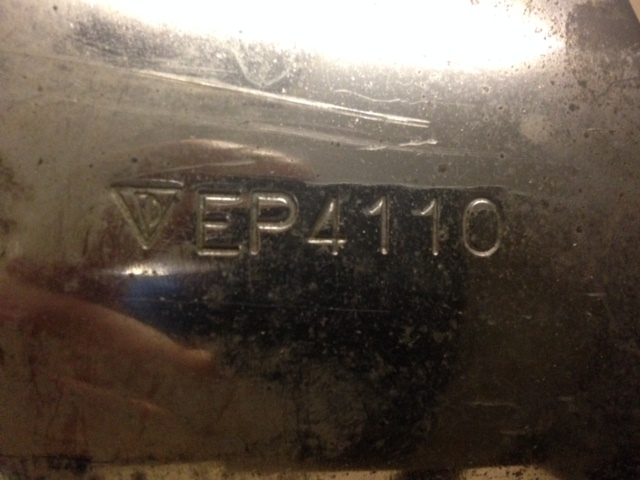 My mate Craig turned up one day with a set of "big oval" tail pipes, or EP4110's to give them their proper name. He spotted them for a bargain price as usual so bought them for me. Cheers mate, much appreciated! I'll take them into work eventually and polish them up like new. That's about it for the cosmetic bits. I have loads of small items lying around such as a wiper delete bung, fixings etc but that will all be for next winter as I've said. Anyway, thanks for reading. 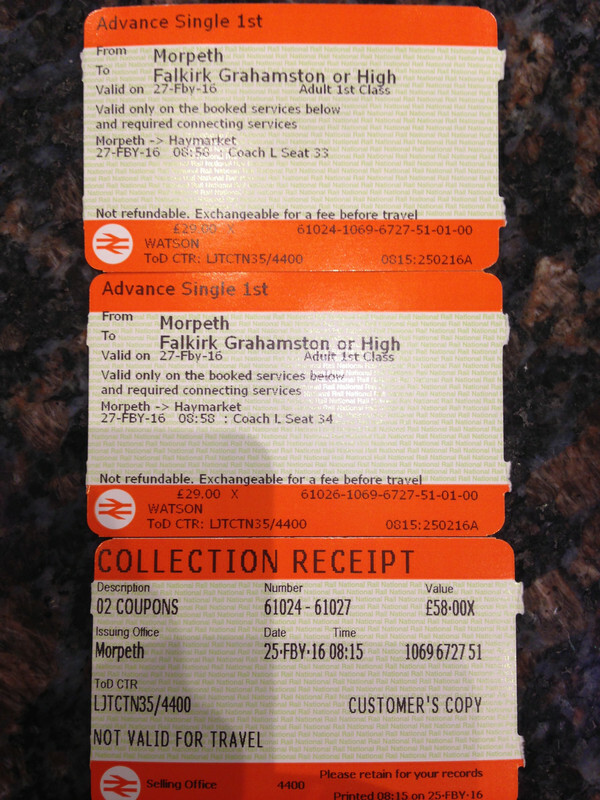 It's just a bit like a big shopping list at the moment but I will get stuck in this year. Great thread - looking forward to watching your progress.